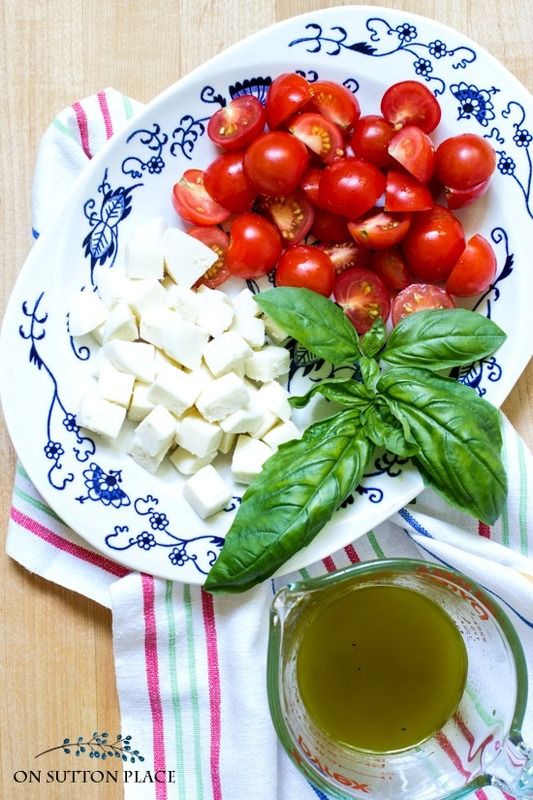 In this post: Easy Caprese Salad Recipe with Cherry Tomatoes | Fresh basil paired with an olive oil & lime juice dressing adds a fresh and tangy taste. Some things are worth waiting for. Spring after a long, cold winter. Football season. That first crisp, fall day. That’s the way I feel about homegrown tomatoes. They come and go very quickly but they are so worth the wait. This year I hit the jackpot with my cherry tomato plants. They are huge and the tomatoes are ripening almost faster than I can eat them. I was finally able to make that caprese salad I talked about when I planted them…and if you’re wondering, it was definitely worth the wait! Most caprese salad recipes call for some sort of balsamic vinegar dressing. Even though I have tried, I just don’t like balsamic vinegar. I decided to try the same dressing I used for my Watermelon Mint Salad and it was delicious. The tang of the lime paired with the creamy mozzarella and tomatoes was the perfect combination. Easy Caprese Salad Recipe with Cherry Tomatoes | Fresh basil paired with an olive oil & lime juice dressings adds a fresh and tangy taste. In a small bowl or measuring cup, combine olive oil, lime juice, salt & pepper. Whisk well with a fork. 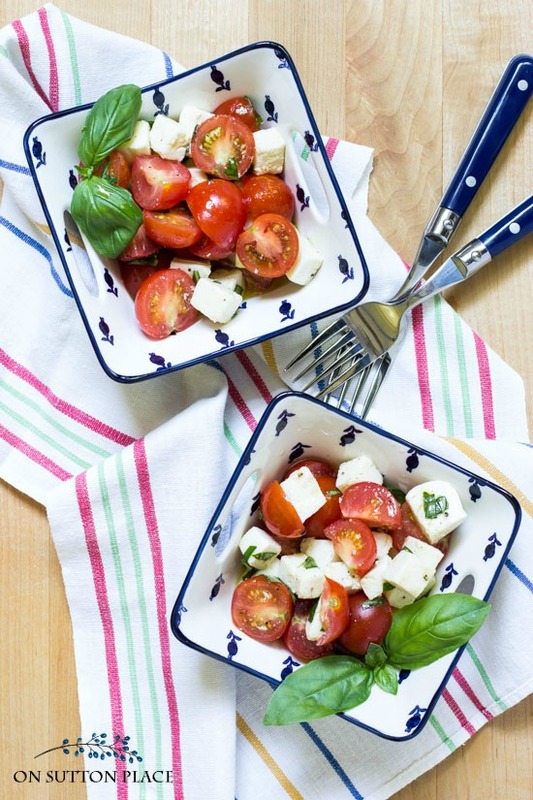 Put cherry tomato halves & cubed mozzarella in a bowl. Sprinkle with chopped basil. Add olive oil mixture and toss well. Adjust with more salt & pepper to taste. Serve immediately or will last in refrigerator (covered) for a day or so. Make sure to use fresh mozzarella. The bagged shredded stuff is just not the same. 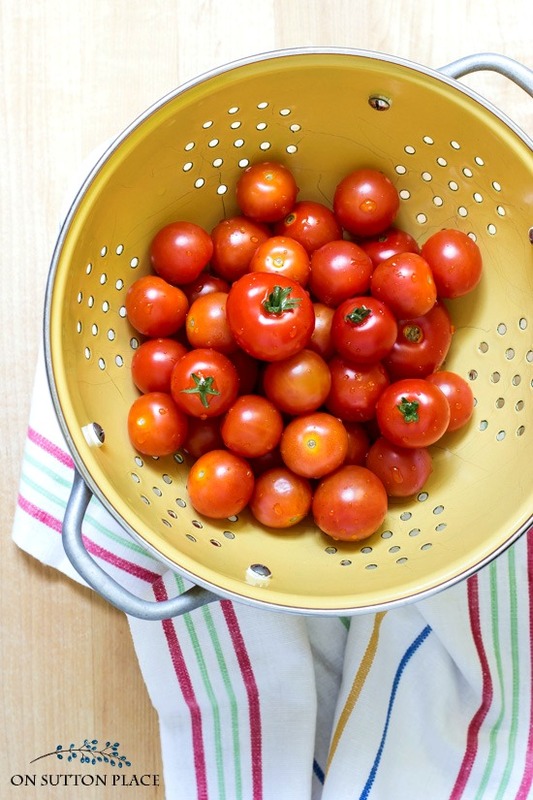 Definitely substitute regular diced tomatoes if you don’t have cherry tomatoes. Chiffonade the basil first and then chop it. That way you won’t be crunching down on a big piece of basil. You can freeze basil in olive oil and use it to make this salad anytime. Just thaw out enough cubes to equal 1/4 cup of olive oil. See how to freeze basil HERE. Here’s a video I made last summer that shows how to chiffonade basil. My knife skills are just average but it shows the process of rolling the basil and then slicing. My husband had a late start planting his summer garden this year, but the cherry tomatoes look like a plentiful crop when they turn red. We did have our first two cucumbers last week. His spring garden was filled with an abundance of snap peas; some I froze for autumn-winter meals. Thank you for your recipe. I know I will be enjoying this salad many times in the coming weeks. I really like your herb garden this year and will hopefully put my plants in the buckets on my deck next spring. Celebrating my dad’s 97th birthday today. Amazing! Recipe sounds delicious! Thanks for the great tips for making salad as well. The dressing sounds like a delicious substitute, & the ingredients can’t be any simpler. Enjoy your weekend. The video…..I like! Thanks for sharing. The dressing sounds delicious,can’t wait to try. Thanks for sharing. Love caprese salad. It just says summer. Can’t wait to try it with your dressing – sounds yummy. I’m not a huge fan of balsamic vinegar either. Your photography makes the salad look so pretty. Hard to believe that you aren’t a professional food stylist and photographer. Carol, I also enjoy the photos! Taking photos of food is not as easy as it looks. 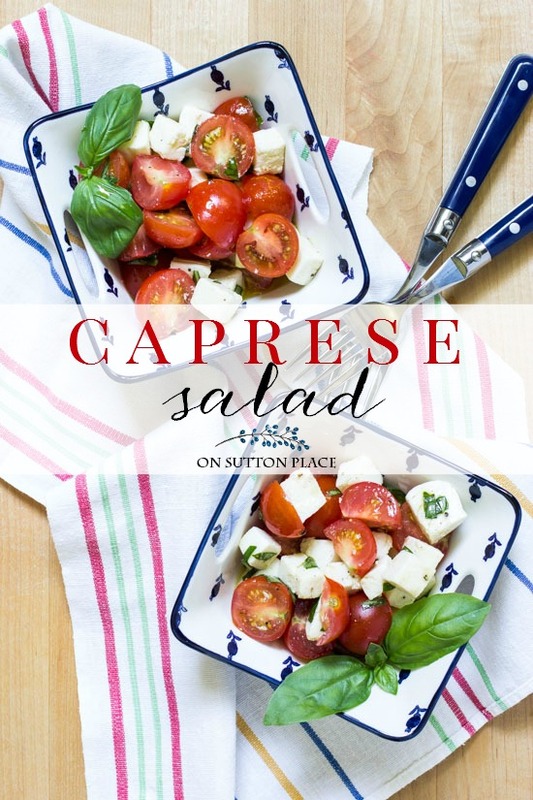 I love caprese salad and I can’t wait to try your version. I like balsamic dressing, but my husband is not a fan. I have lots of basil just waiting to be used. Thank you for sharing! Hi Ann I’ve been very busy this this past month with my gardening plus I had a small accident I fell and hit my tail bone so I have not been checking my e-mails or following to see what everyone’s been up to. My tomatoes have been growing like crazy also and I happen to love salads of any kind in the summer your salad looks good. I like that you used lime instead of balsamic vinegar . will definitely try it maybe with some feta cheese also . Thanks for the idea and the recipe have a great summer from Corfu Greece with love. P.S. I made your Lavender Lemon Bread [ count find lavender so I made it without it ] and it was delicious. When you freeze basil can you not use oil ? I do not use oil! Looks delicious and easy.I have to wait for my tomatoes to ripen then I certainly will be making this. Yummy!! All that lovely fresh basil! I just planted some new plants and they’re sprouting. 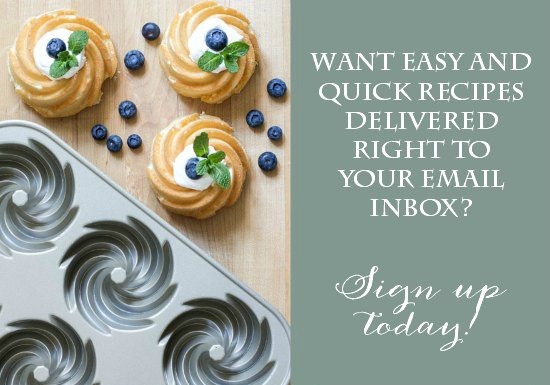 Can’t wait until they’re big enough to use in recipes!